Pioneers in the industry, we offer oil flow meter, digital tds meter, dial thermometers, ph meter, orp meter and tds meter from India. Among our wide range of resins, we also introduce Oil Flow Meter. 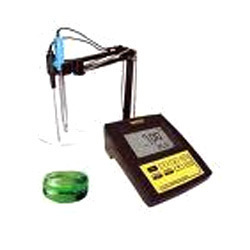 This oil meter is manufactured using advanced technological sciences. The meter checks and provides an accurate data regarding the leakage, high and low pressure flow, receive and discharge of oil from the tank or pipes. Our processionals have ensured using innovative technology while fabricating the electronic parts and control panel. This has resulted providing accurate reports to the clients. The size of the Kent Oil Meters for an application should be based on maximum oil flow rate in the pipeline, the pipeline size and pressure available at meter point. For unloading of oils under gravity head we recommend use of 80mm size meters. Optionally 50mm meter can also be used. For unloading petroleum products by pump, install a50mm/ 80mm oil meter. For recording draw offs from storage tanks use 40mm, 50mm or 80mm size meter based on the maximum oil flow rate in the line. For monitoring oil consumption, use 15mm, 20mm or 25 mm size kent oil meters based on maximum oil flow rate and the head available. If flowrate is small and the pipeline size is big then reducers should be used. To meet the diversified requirements of our prestigious clients, we are engaged in offering Digital TDS Meter. There are several types of meters made obtainable with us offering poles apart digitalized level according to the storage capacity. The provided meter is fabricated using quality materials. The components used are OEM approved. In addition, our professionals have used advanced technology and robust methods that help in prolonging the life of the meter when used in industrial oil, pressure companies. As a topmost firm we are betrothed in offering Dial Thermometers. This meter is used for pressure detection in oil and oil tank. The offered meter is manufactured using quality materials and OEM approved components. 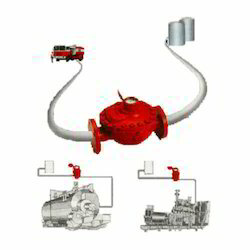 Also, our professionals have used advanced technology and robust methods that help in prolonging the life of the meter when used in industrial oil,pressure tanks. There are several types of meters made available with us providing different pressure level according to the storage capacity. 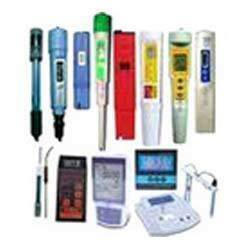 Counted amongst the leading entities of this domain, we are affianced in offering PH Meter. This meter is used for measuring the pH level in water and oil. Increase in pH level in oil is never suitable for the machineries using the water for cooling, boiling and other applications. The offered meter provides the accurate results and numbers that help in maintaining the pH level in liquid. 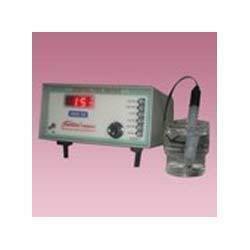 We are presenting an extensive range of ORP Meter. This meter is used in measuring the ORP in liquids. The offered meter is manufactured using quality materials and OEM approved components. Also, our professionals have used advanced technology and robust methods that help in prolonging the life of the meter when used in industrial oil, pressure tanks. 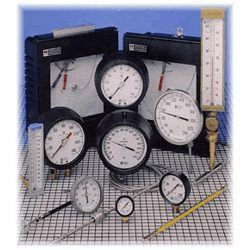 There are several types of meters made available with us providing different pressure level according to the storage capacity. 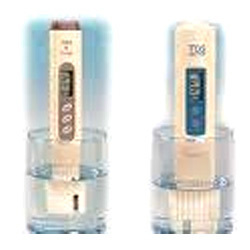 Fostered with vast industry experience and knowledge of this domain, we are engaged in presenting TDS Meter. The offered meter is made of utilizing quality materials and OEM certified components. Additionally, our engineers have used superior technology and vigorous methods that aid in prolonging the life of the meter when applied industrial oil, pressure tanks and refineries. There are quite a few types of meters made obtainable with us providing different TDS level according to the storage capacity. Oil refineries and heavy oil producing companies require such types of meters for measuring the different levels.